Forty years after the death of Dietrich Bonhoeffer at the hands of the Nazis, his writings are not as well known as they used to be. Yet they have lost none of their freshness and relevance, and testify to a fascinating mind and faith. 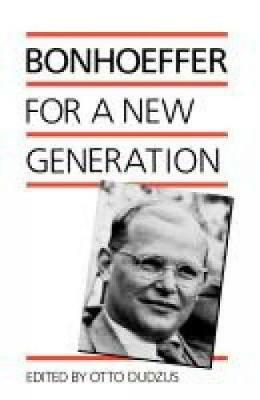 In this small book Otto Dudzus, a German pastor and friend of Bonhoeffer, has brought together passages from Bonhoeffer's main works to provide a balanced portrait of his thought and belief. Here are extracts from The Cost of Discipleship, Life Together, Ethics and Letters and Papers from Prison, together with passages from his other letters and sermons, some of which have never appeared in English before. The four verses of one of Bonhoeffer's best-known poems, 'Stations on the Road to Freedom', serve as a framework, and there is an introduction for those coming to Bonhoeffer for the first time.